on the leg, and a contrasting color toe and heel. 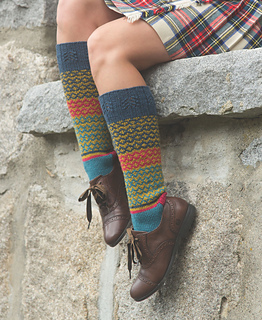 To make another pair of socks with yarn remaining from this design, see the free Kirklees Sock pattern. To fit women’s US shoe sizes 7–9. 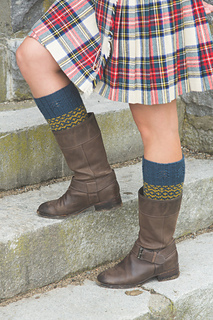 Note: Visit the CEY Web-Letter (classiceliteyarns.com/webletter) for another pair of socks designed with yarn remaining from this pair of High Kirk socks.